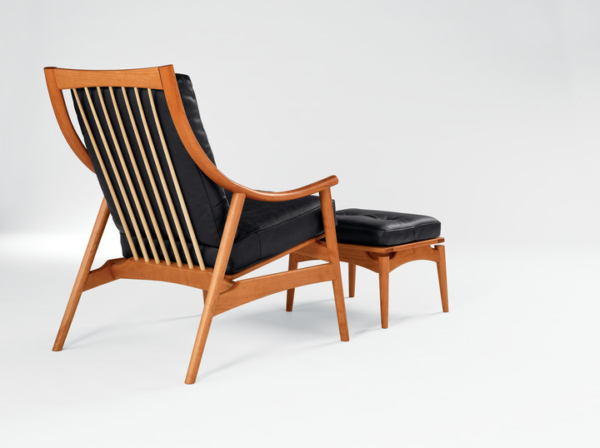 Some lounge chairs are wholly dedicated to lounging. Others, while beautiful to the eye, forget that comfort should have been a primary consideration. 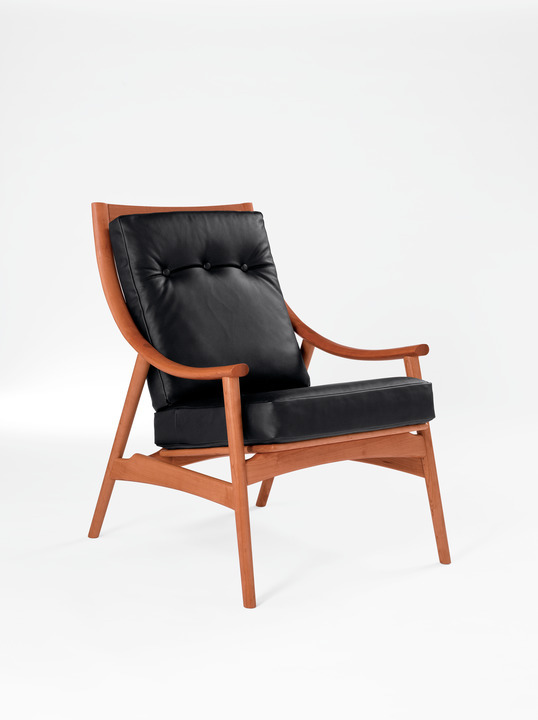 Our Ellipse Lounge Chair is designed to excel on both fronts. Crafted with gently sweeping arms, slender raked legs and elegantly plush cushions, each Ellipse Lounge Chair is both artistically satisfying and supremely comfortable. 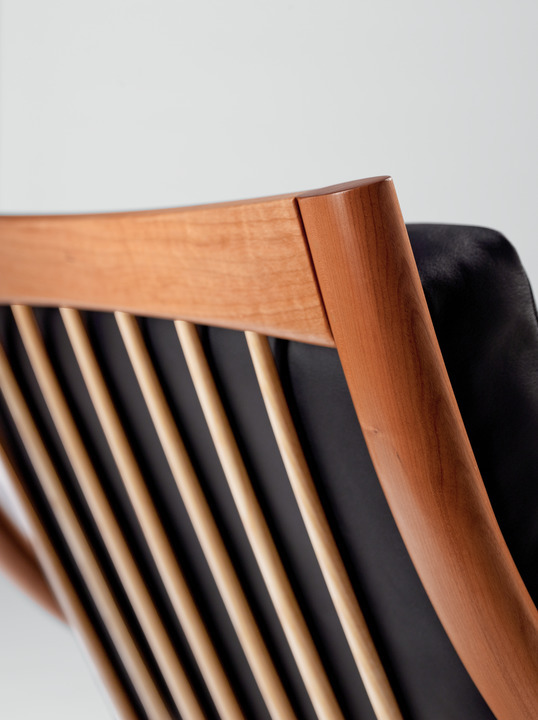 And with its gently flexing back spindles and fine exposed tenon craftsmanship, it is designed to serve its purpose for a lifetime of use. Paired with the floating legs and spreader-free construction of its companion ottoman, it’s the ultimate lounging combination for any fine living space. 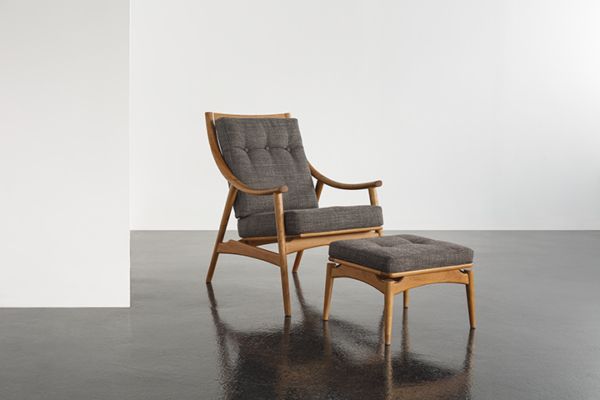 Crafted with gently sweeping arms, slender raked legs, and elegantly plush cushions, our Ellipse Lounge Chair is both artistically satisfying and supremely comfortable. 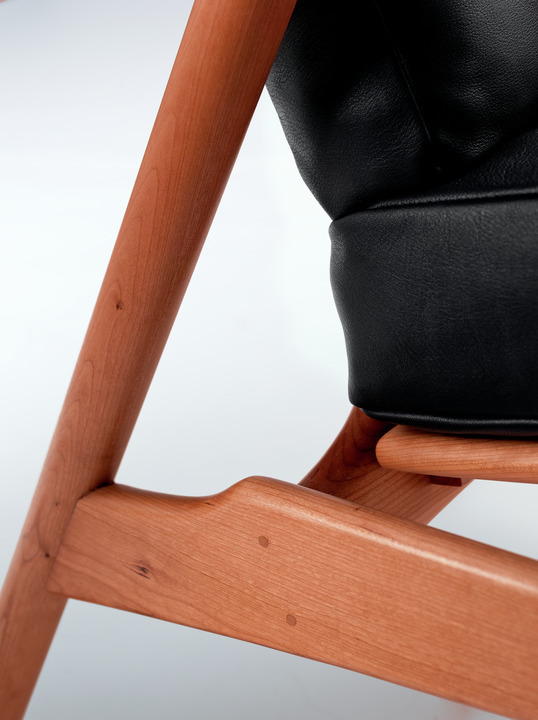 Designed in the tradition of mid-century modern furnishings that found strength and beauty in a time when resources were scarce, the chair employs simple, time-tested techniques to optimize materials. Turned legs, simply curved arms and essential frame elements combine in a profile that’s both essential and striking. 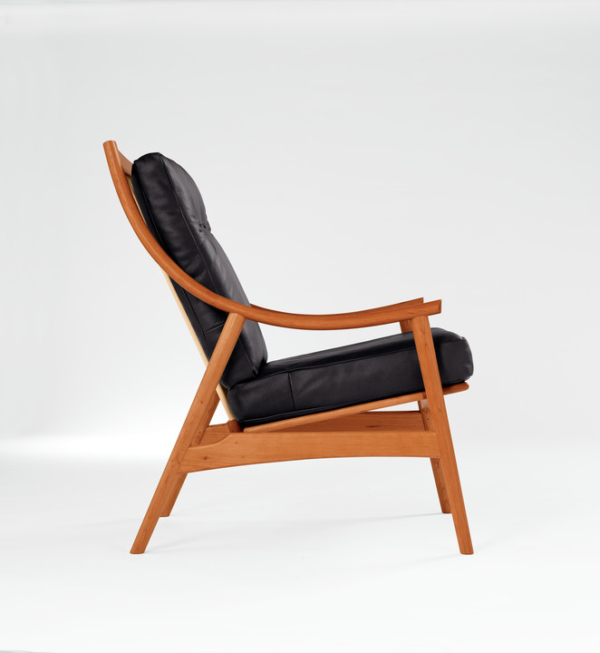 With flexing back spindles and fine exposed tenon craftsmanship, the Ellipse Lounge Chair is designed to serve its purpose for a lifetime of use. 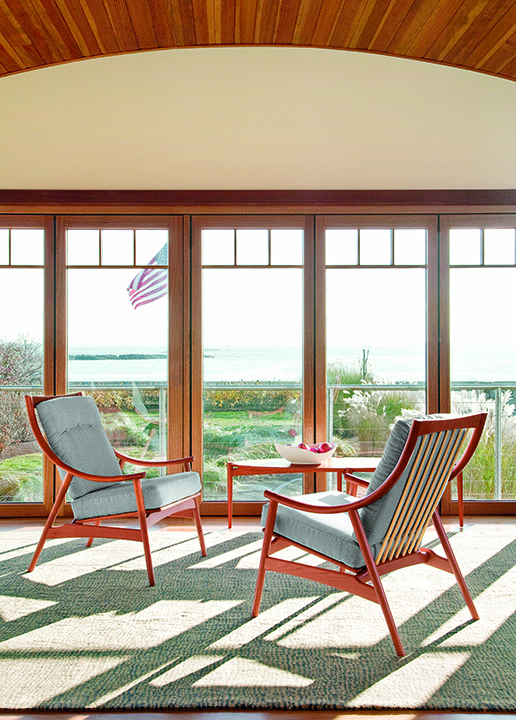 Marked by the union of its sweeping arm to its crest and legs, the light, airy frame is exceptionally durable. Upholstered cushions provide a marked contrast to the minimalist frame, lending both substance, and comfort. The Ellipse Lounge Chair pairs naturally with the Ellipse Ottoman, forming an exceptionally comfortable combination that stands out in any living space. The ottoman’s construction mimics that of other pieces in the Ellipse collection, with turned legs finishing in floating joints at each corner.